Credit providers use alluring tactics to convince consumers to obtain credit. In some instances the sales person is more focused on his sales target than your actual financial circumstances. This becomes a dangerous position for both the consumer and the credit provider. The situation is dangerous for the consumer because he finds himself in a position where he may be unable to meet his financial obligations. The situation is also dangerous for the credit provider because if it can be proven that the credit provider did not take reasonable steps to establish the creditworthiness of the consumer, “an application may be made to court and the court may declare the credit agreement reckless and set aside all or part of the consumer’s obligations under the agreement or, alternatively, suspend the force and effect of the agreement in terms of the National Credit Act”, says Natasha La Vita of Berndt and La Vita Incorporated. What does this really mean to consumers? Did the consumer have a general understanding and appreciation of the risks and costs of the proposed credit, as well as an understanding of his rights and obligations? Was an assessment of the consumer’s payment history undertaken? Was an assessment made of the consumer’s existing financial means, prospects and obligations? Would entering into the agreement leave the consumer overindebted? If the consumer has a commercial purpose for obtaining credit, the credit provider must have a reasonable basis for believing that the purpose will prove successful. If a credit provider did not take the necessary steps and efforts to correctly assess the above, then the consumer may approach a court to have the agreement declared reckless and void, in other words, no longer enforceable. Did the creditor conduct a financial assessment of the consumer’s obligations? Did the creditor obtain a copy of the consumer’s credit report? How was the consumer persuaded to take up the credit? Special emphasis should be placed on telephonic sales. Could the consumer at the time of obtaining credit afford the credit? Was the consumer under administration or debt review? 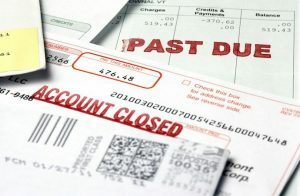 In conclusion, if a bank or other credit provider does not, prior to granting credit, check a consumer’s credit history and carry out a proper financial assessment to determine how much credit a consumer can afford and the consumer later defaults, the agreement can be declared reckless and the credit provider may be forced to write off part of or the entire amount advanced.